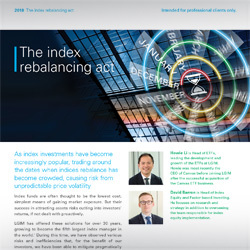 This website is for investment professionals only. If you are NOT an investment professional, please visit our customer website. 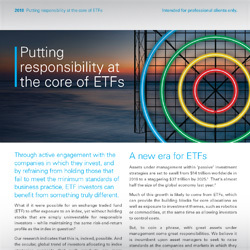 Watch Howie Li, Head of ETFs, as he is interviewed by David Stevenson, FT columnist, to discuss L&G ETF’s new core equity ETF range. 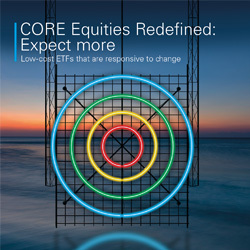 Traditional core equity exchange traded funds (ETFs) have not been as responsive to rapidly changing markets or taken the leadership role that many would have expected of them. From avoiding the crowd, to raising the bar for companies, we are redefining core equity building blocks, while keeping them low cost. The value of an investment and any income taken from it is not guaranteed and can go down as well as up, you may not get back the amount you originally invested. Past performance is no guarantee of future results. You should consult an independent investment adviser prior to making any investment in order to determine its suitability to your circumstances. 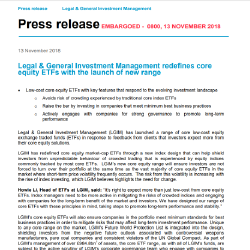 Legal & General Investment Management Limited. Registered in England and Wales No. 02091894. Registered Office: One Coleman Street, London, EC2R 5AA. Authorised and regulated by the Financial Conduct Authority.